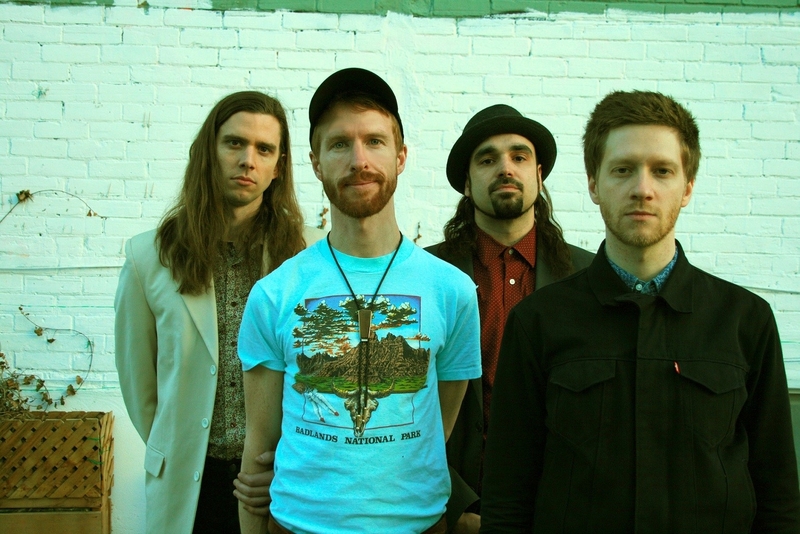 Delta Will is a genre-bending band from Toronto, Canada. Their eclectic songs explore many facets of the human condition, navigating between serene contemplative moments, and massive psychedelic explosions of sound. Charles Tilden founded Delta Will as a bedroom project, releasing the Transcendental Visits EP in 2012, and the It All Glows EP in 2013. Now a four-piece band, rounded out by drummer Kevin Correia, and multi-instrumentalists Brandon Johns and Milan Schramek, they have found their voice by combining warm, organic sounds of the past with swirling electronic flourishes to create an engaging po­rtrait of the now. 2016 saw the release of Delta Will’s first full-length, Weathering. Recorded with veteran indie-rock producer Chris Stringer, Weathering is a testament to the project’s steady evolution, and to Tilden’s maturation as a songwriter. After touring Weathering throughout 2016, Delta Will spent 2017 collaborating with engineer and mentor Sandro Perri to develop a new 3-part release titled Multitudes (I,II & III), slated for release throughout 2018. Multitudes I is a continuation of the band’s psych-pop and soul influences, while Multitudes II will show a more subdued chamber folk side to the band, recorded with guest orchestral musicians including Jaron Freeman-Fox and Virginia Frigault-MacDonald. Multitudes III is an electro-pop record, featuring both tuneful and experimental tracks Tilden has been honing at this home studio. Multitudes I is the first in a series of three EP’s we’ll be releasing over the next year. Delta Will has always had a somewhat eclectic sound, inspired by a wide range of music and this project was the perfect excuse to write songs that drill a little deeper into some genres we’ve always flirted with. Whereas Multitudes I features guitar-driven psych-pop songs, Multitudes II is much folkier and was recorded with a chamber orchestra. Finally, Multitudes III will show yet another side of Delta Will with more electronic & experimental material. 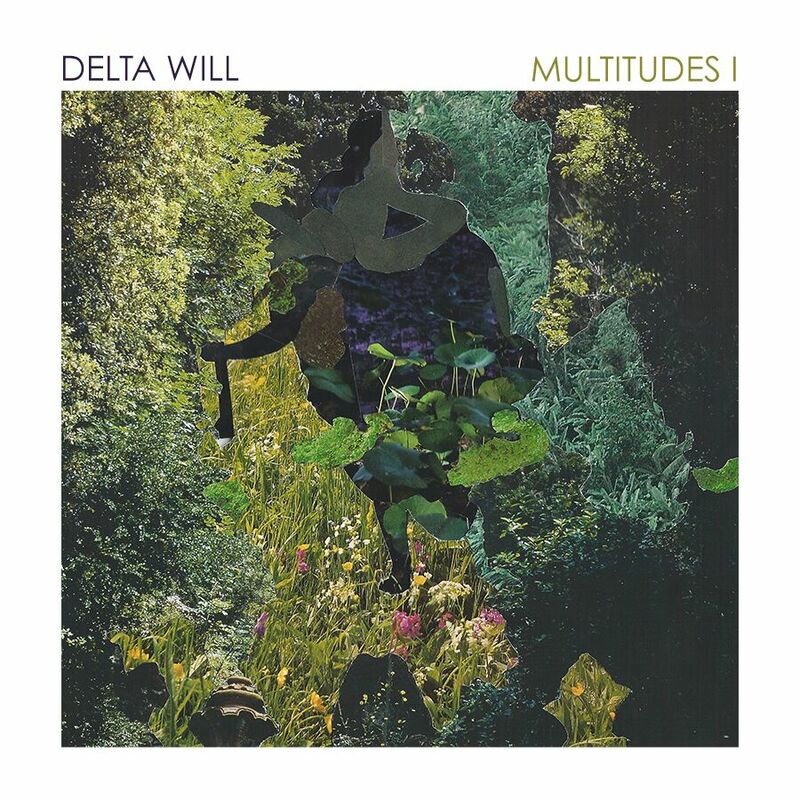 Delta Will’s ‘Multitudes I’ EP is a no brainer for Indie Voice blog – get it today and expect parts II and III to be equally as good! Read Floorshime Zipper Boots’ exceptionally glowing review of Delta Will’s ‘Multitides I’ EP! Read a kind review of Delta Will’s ‘Multitudes I’ EP c/o JP’s Music Blog! Read Listen to Discover’s chat with Delta Will – new ‘Multitudes I’ EP out now! Read Listen to Discover’s detailed review of Delta Will’s track, “Nothing Is Enough,” over on the site! Bristol Funk add “Nothing Is Enough” by Delta Will to their Music From The Coast – Songs of Sunshine and Struggle Spotify playlist! Red Guitar Music’s latest The Maple Leaf Roundup features Michael Bernard Fitzgerald, The Foreign Films, Bad Western, The Hope State, and Delta Will! When The Horn Blows share “Nothing Is Enough,” taken from Delta Will’s recently released ‘Multitudes I’ EP! Congrats, Delta Will, on the release of your ‘Multitudes I’ EP – officially out everywhere today! 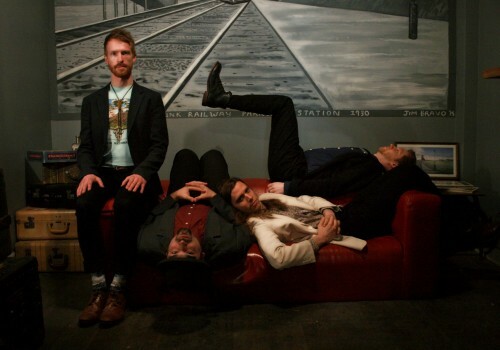 Comeherefloyd shares “Nothing Is Enough,” the new single from Delta Will – catch the 4-piece at Toronto’s Burdock on August 9th! Mystic Sons feature “Nothing Is Enough,” Delta Will’s ‘The Smiths-inspired swoon,’ in today’s New Music Discovery roundup! VIDEO PREMIERE: Delta Will debuts “Nothing Is Enough,” paired with accompanying visuals, on Atwood Magazine! Excellent review of the new Delta Will record up on The Indie Blender. Delta Will is coming to the east coast this April! Find out all the details at Grid City Magazine. Music Liberation names Weathering by Delta Will ALBUM OF THE WEEK! The new LP “Weathering” from Delta Will is one of Dusty Organ’s picks of the week! Clunkmagazine reviews the new LP from Delta Will. Out Today!!!! Grayowl Point reviews the debut LP from Delta Will. Out this Friday! The debut LP from Delta Will is exclusively streaming at Exclaim! today! Delta Will had the “Indie pop track of the day” at Find A Song! Big review from Independent Music News on the latest Delta Will track ‘A Dream’. New music from The Foreign Films & Delta Will up on Alan Cross Official today! The new single from Delta Will is reviewed at GigSlutz. New album from Delta Will coming. Listen to a new song “A Dream” at Canadian Beats. New Delta Will up on Indie Shuffle! WOOO! New Delta Will single featured on Dusty Organ! New single from Delta Will’s debut LP premiered at Chart Attack today! Listen to “A Dream” at the link below! Delta Will talks influences, and new record with Lisa CONFRONT Magazine! PREMIERE: Delta Will remix “Touch” by MUNE up on Northern Transmissions! A great interview with Delta Will at The Spec. “For me, music is a tremendous healer, a method for growth and constant learning. Songs I write are consistently about the toughest questions I’m grappling with in life.” A great interview with Delta Will at The Spec. New things from Pet Sun, Delta Will, For Esmé featured on Grayowl Point’s Audio/Visual hoots! For Esmé, Pet Sun, Delta Will & MUNE all featured in the June edition of Bands Spotted via Novella Magazine! NewCanadianMusic.ca reviews the new single from Delta Will. Quick Before It Melts makes sure you don’t miss out on the new TIO. “Day Fort” has this Peter Gabriel-circa-“Shock The Monkey” vibe cross-bred with some Nitzer Ebb-grade industrial dance grooves that’s left me slack-jawed.” right! The new single from Delta Will is one of The Main’s Top 10 New Tracks of the week. 505 Indie picks up Delta Will’s “Manic Pulse” today all the way from Brazil! Delta Will’s new song “Manic Pulse” is quickly making the rounds and is featured today over at 505 Indie. Give it a listen! Delta Will’s “Manic Pulse” single premieres at Exclaim! The first single “Manic Pulse” from Delta Will’s forthcoming LP premiered today at Exclaim!. You can listen now.